Picking and separating grapes from stems the most time consuming. 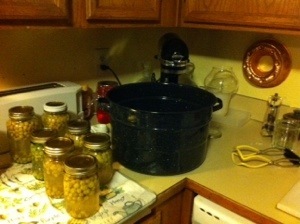 Then several recipes to pore through to make grape juice. Decided on simplest. Result: a few jars of juice, canned and a bit of a mess in the kitchen. Taste test to follow. Next year: mass production – maybe ….